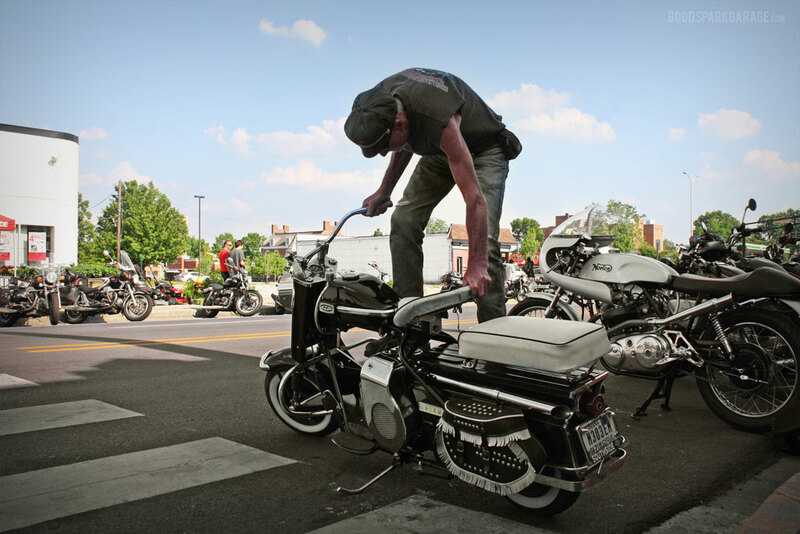 Just seven miles from Pole Day qualifications at the Indianapolis Motor Speedway on May 19th, motorcycle engines dominated the soundscape at Indy’s Rockers Reunion. 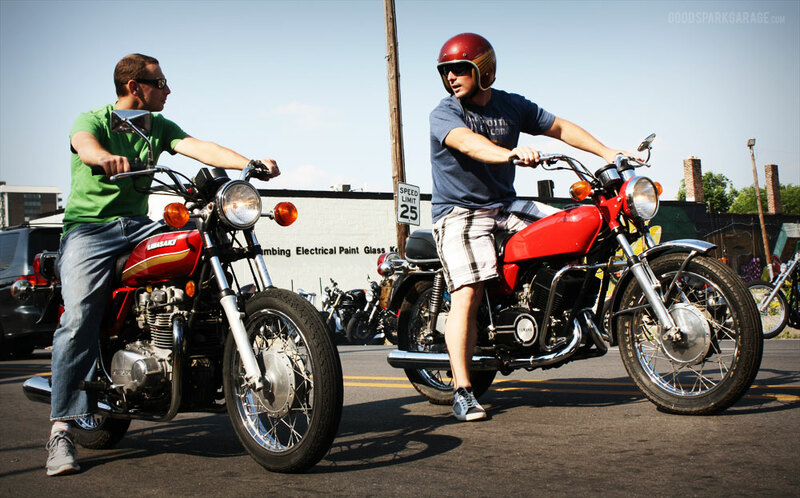 The thumping and buzzing of over 300 4-cylinders, parallel twins, triples, old singles and screaming two-strokes confirmed the increasing popularity of this event. 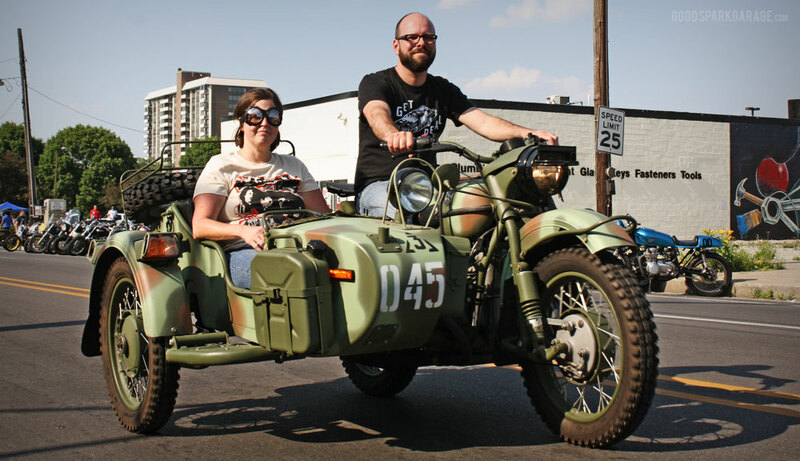 Check out our pics for a mere taste of the cool found at Indy’s best vintage bike gathering of the year. 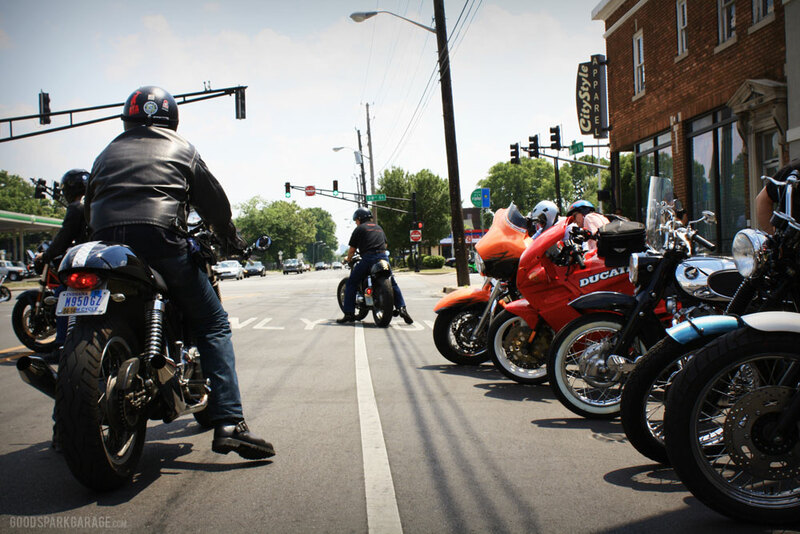 Bikes and enthusiasts start to gather on Illinois Street near the intersection of 38th Street. 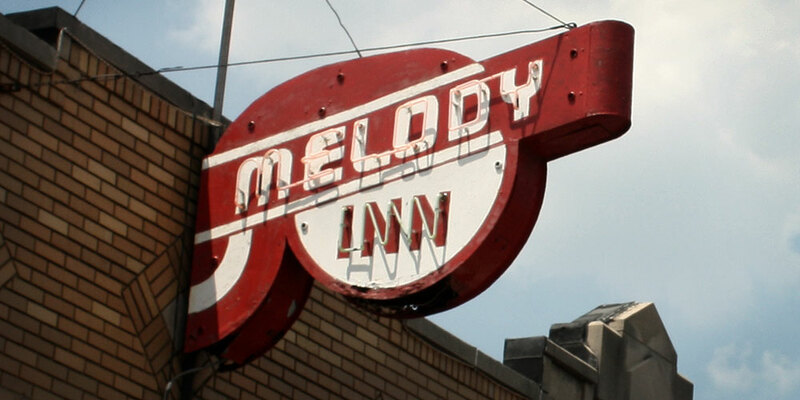 The Melody Inn is one of Indy’s oldest bars, founded in the mid 1930s. 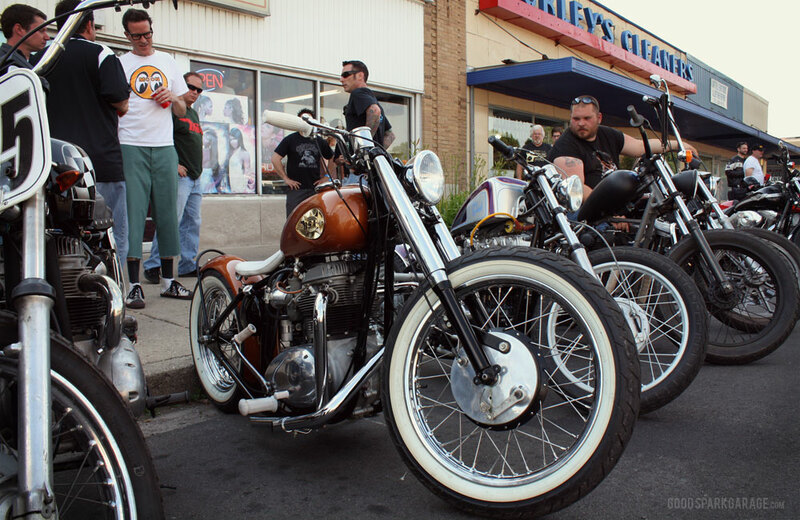 Its curbs and sidewalks are the locale for the bike show and destination of The Rolling Bones, the event’s first organized vintage ride from Speed City Cycle & Scooter. 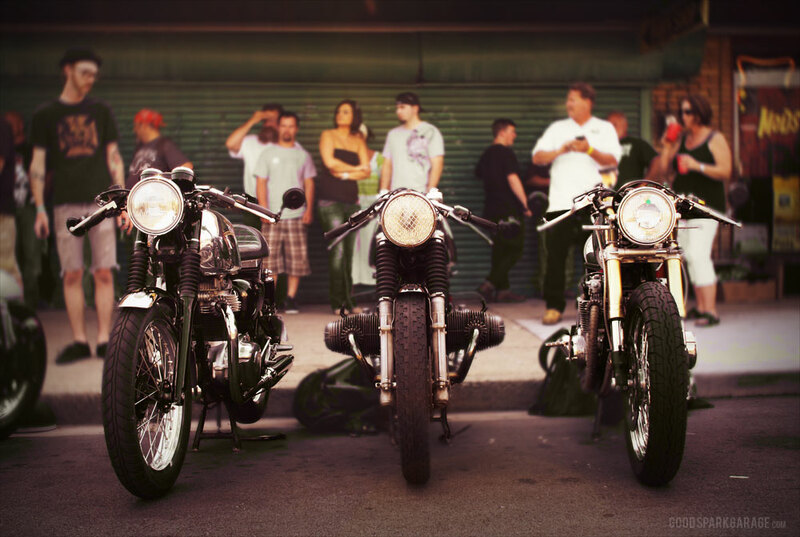 Above: Lookin’ for trouble – the Good Spark Garage cafe racers on the left (Kawasaki W650 and BMW R75/6) and the Meyerbuilt Metalworks cafe racer on the right (Honda CB550). 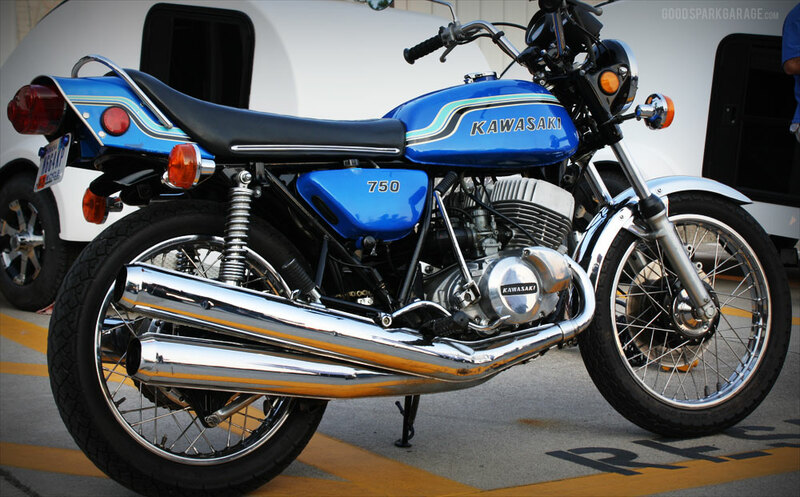 “My turn signals are bigger than yours.” – In a sea of customs, it’s always nice to see some clean stockers. 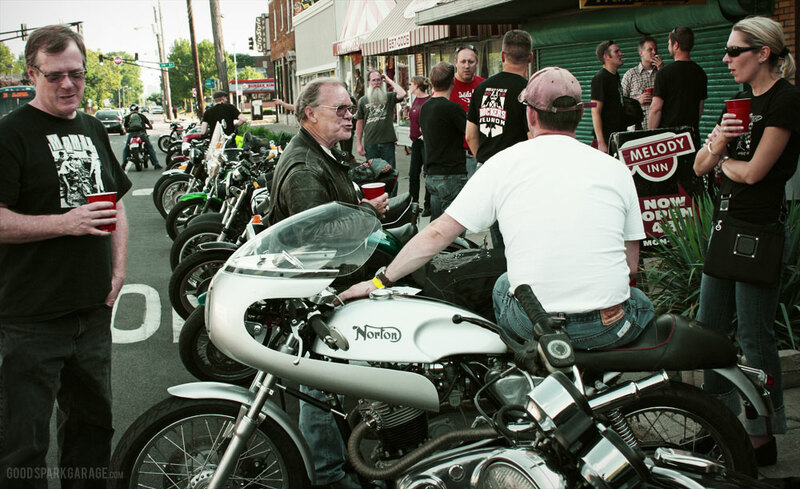 Above: Ton Up Indy members, Deacon Sean (right) mans the registration table while Roy Griffith (left – see our feature on him) looks for his next assignment. 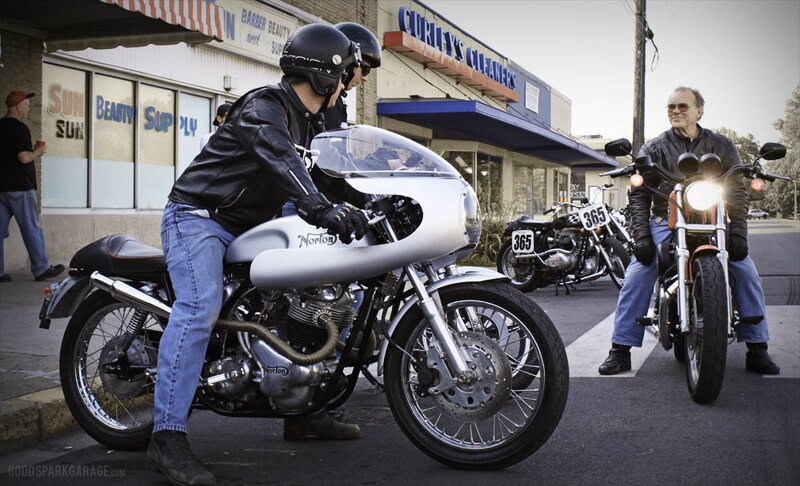 Ton-upper and CB750 rider, Adam Ratcliff, humbly and tirelessly coordinates this event with the help of his cohorts. 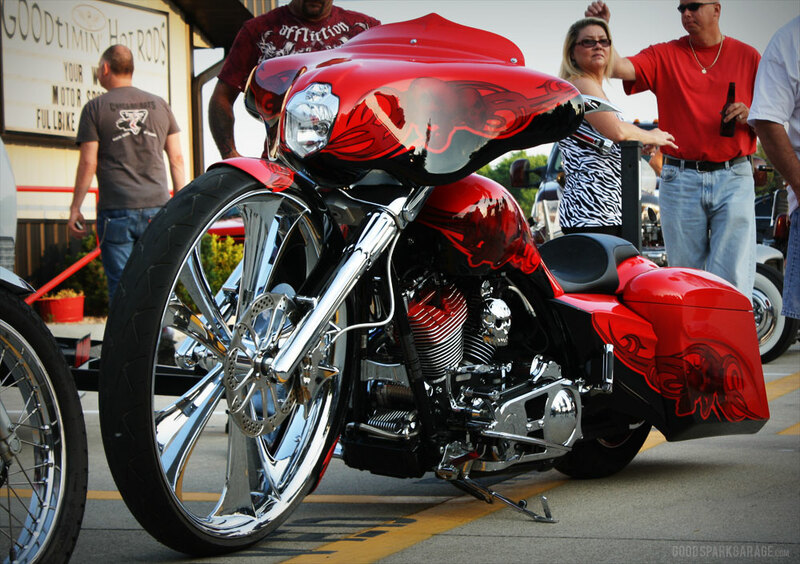 Drums, spokes, white-walls, chrome, candies, and some really short pants. 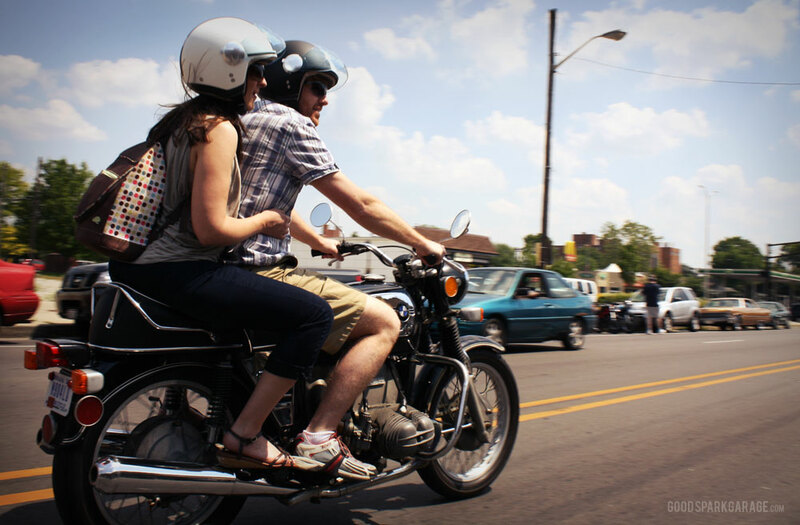 Air time: Big ol’ kick for this li’l ol’ Cushman. 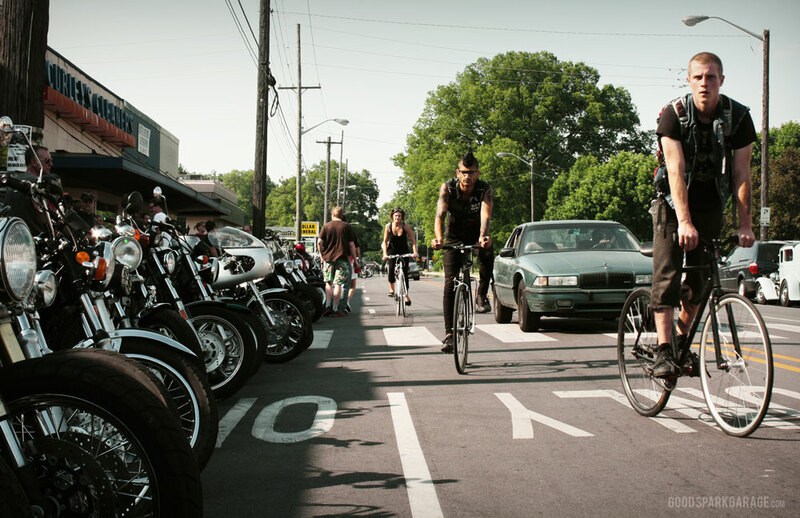 Fletch from Ton Up Chicago and his top-notch Mods vs Rockers wares. 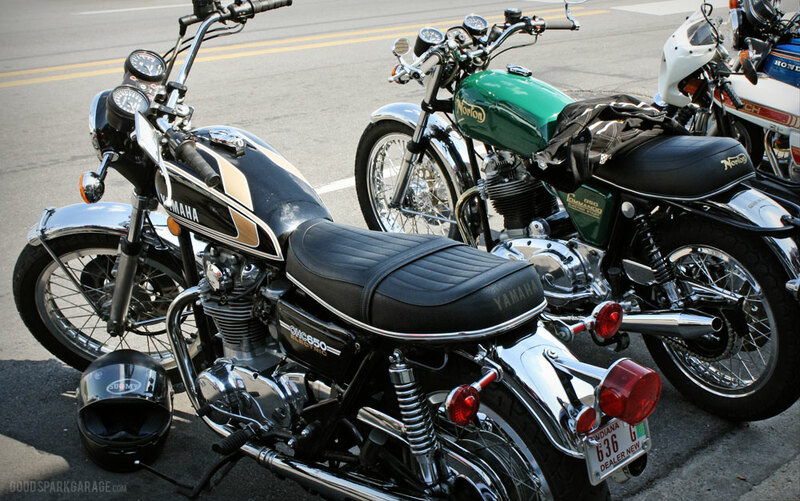 Perfect Spring weather; the bikes came outta the woodwork. 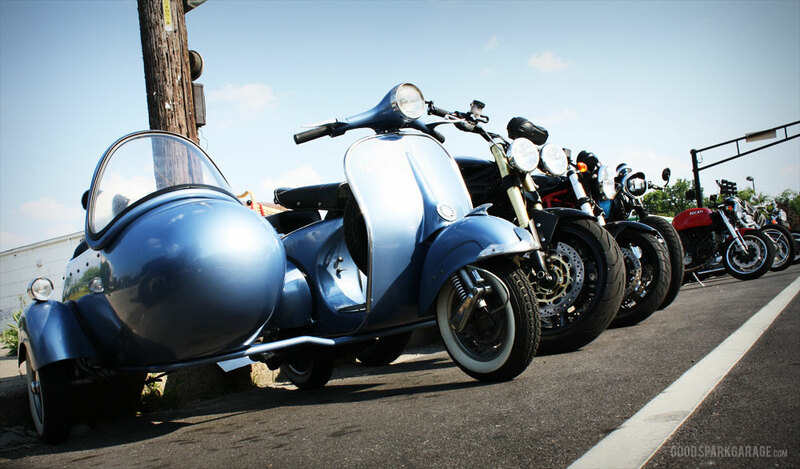 Vespa sidecar, transporting a well-used telephone pole. Comfy ergos; just right for sitting in the wind. 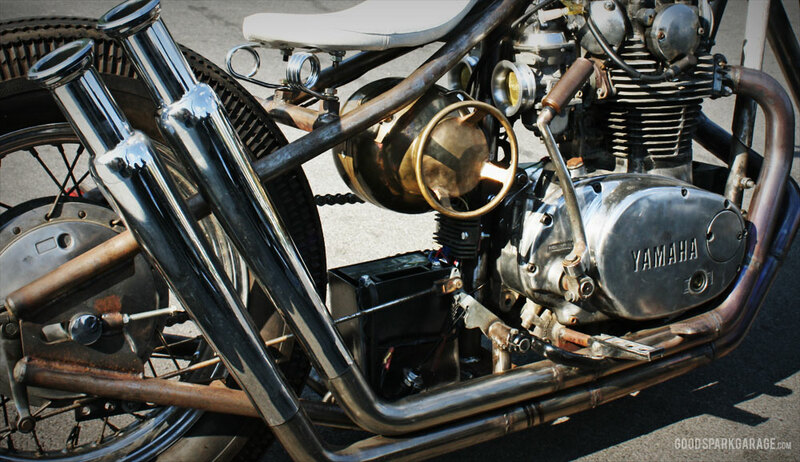 If engines could talk (you know, beyond the whole “blum-blum-blum-blum” thing). 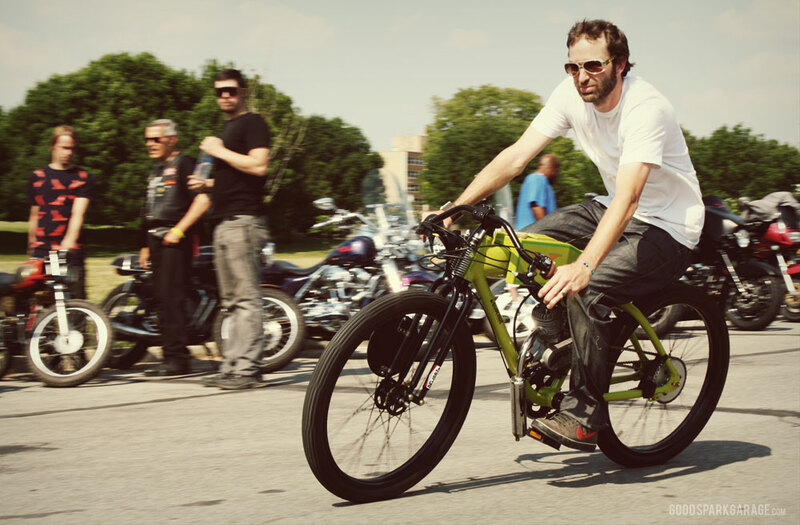 Above: Fox from National Moto+Cycle Co. on a gas-powered bicycle called the Super X, an homage to board track racers (good for over 120mpg). 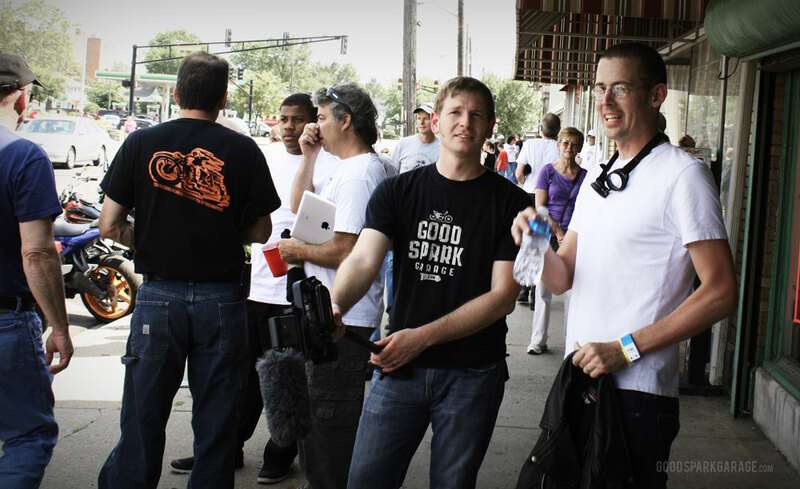 Look for a feature about these guys soon on Good Spark Garage. 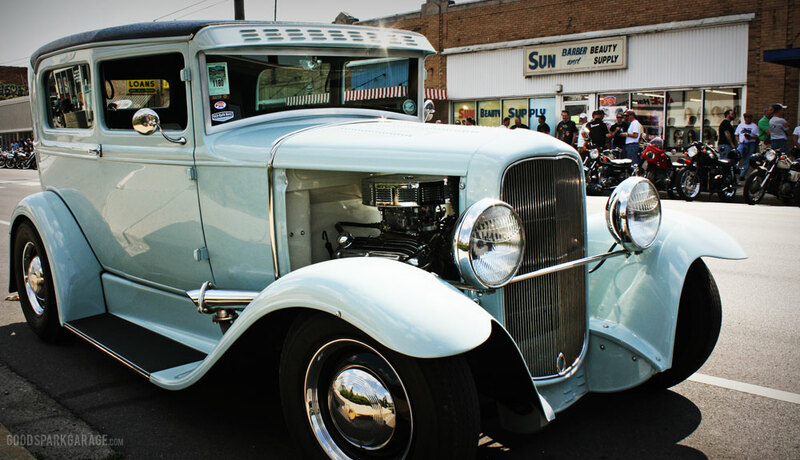 A nice Model A, built and owned by the Spainhowers (also painted by Nate Spainhower). 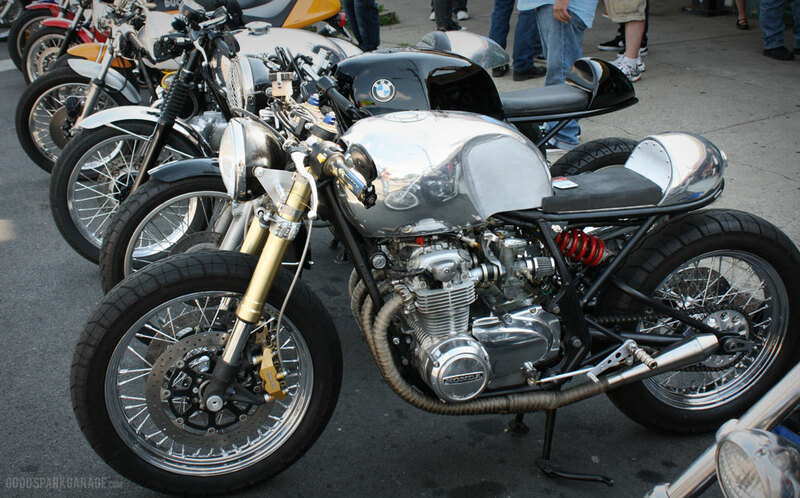 Cliff Meyer’s custom CB550K with hand-formed tank and tail (see our article on Meyerbuilt Metalworks). 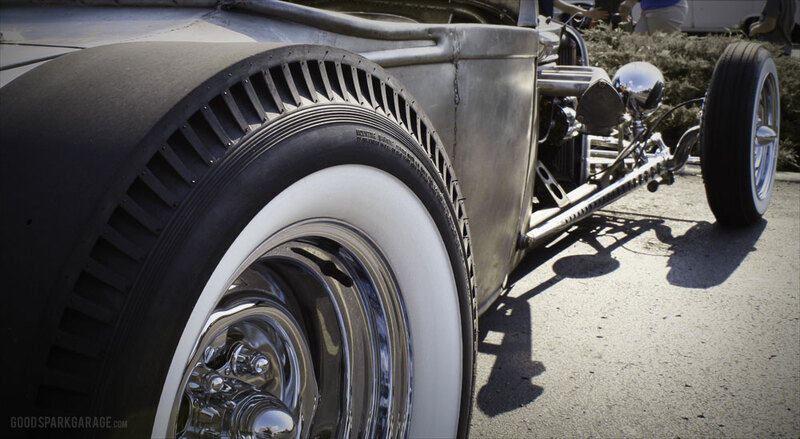 In case of emergency, burn rubber. 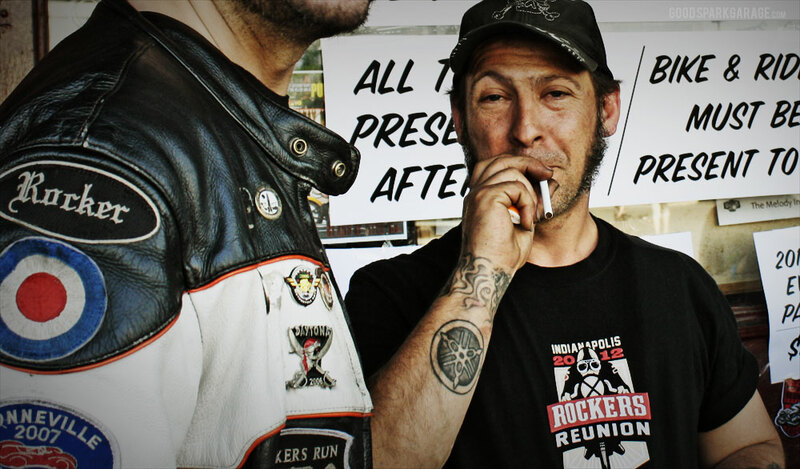 Above: That’s me (Corey) standing with Chris Sickels, the fella we featured on his ’65 Harley Pacer. This event is a aptly named; it’s a reunion indeed. 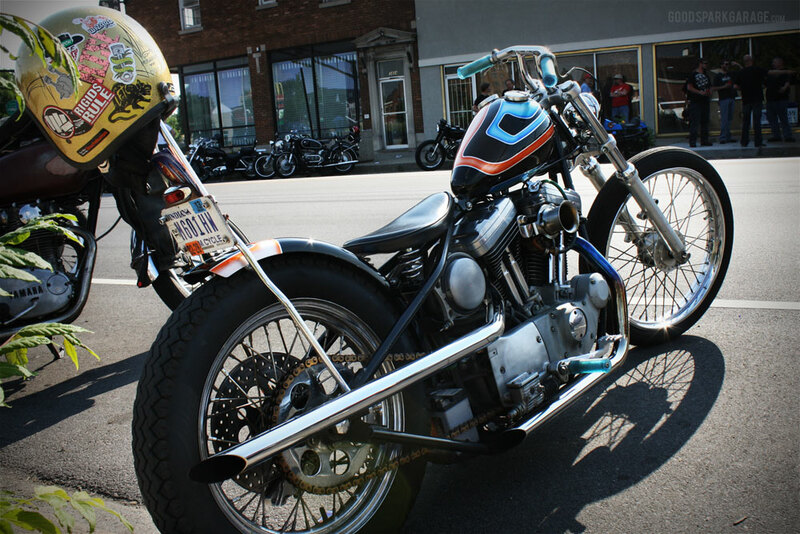 It’s a chance to catch up with folks we’ve thankfully met through motorcycling around the Indy area.The chopper below was painted (and rode in on) by Nate Spainhower, the guy who painted our Flying W bobber built by Ardcore Choppers. 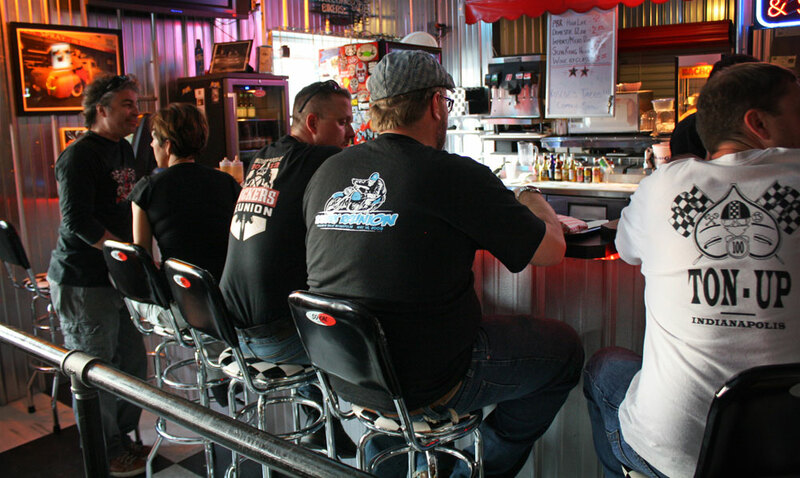 After the bike show and street gathering, attendees rode over to Jack Rabbit Slims for the afterparty, a 10-mile jaunt south. Awards were handed out for various categories and more moto-fellowship ensued. 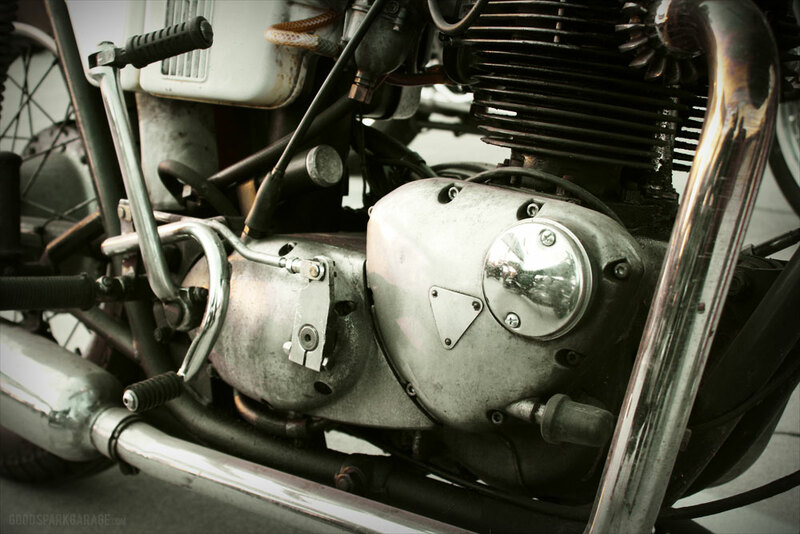 We’re sure Sean Guthrie of Ton Up Indy has some sort of strategy whilst working on his Triumph. We’ll be ready for next year’s event. You coming? 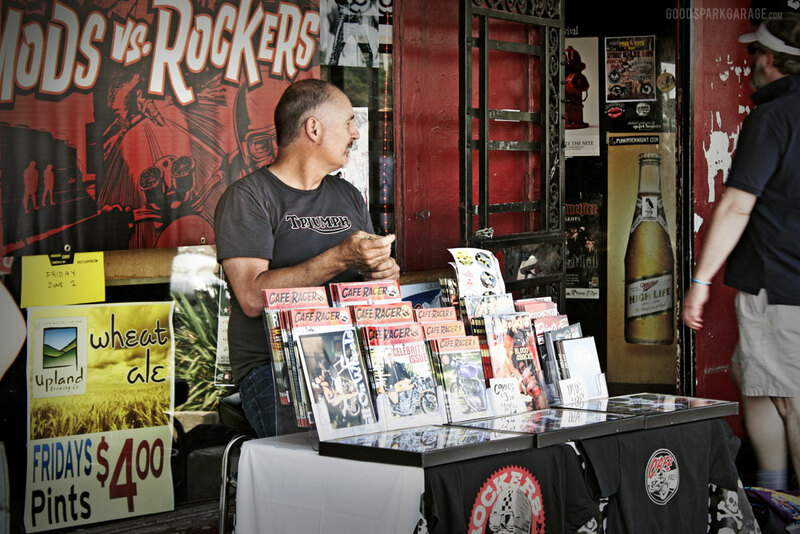 It’s a good time and you’ll surely be welcomed by Ton Up Indy, motorcycle enthusiasts and all the passers-by who attend Indy Rockers Reunion. Great coverage as I would expect nothing but from you guys… One event not to miss if your in Indy.. Very nice guys! I think the photography could write it’s own feature! GSG is really taking off.